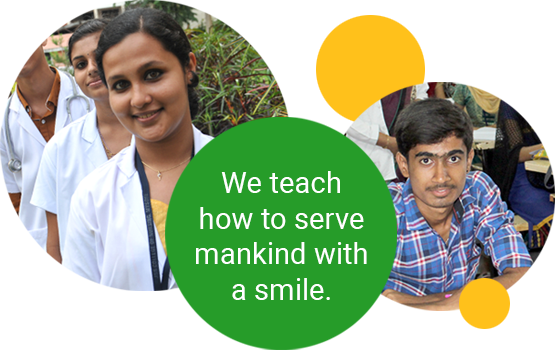 The JSS College of Nursing, an off-shoot of JSS Mahavidyapeetha, Mysore, is affiliated to Rajiv Gandhi University of Health Sciences, Bangalore, and recognized by Indian Nursing Council. The JSS College of Nursing was started in 1997. 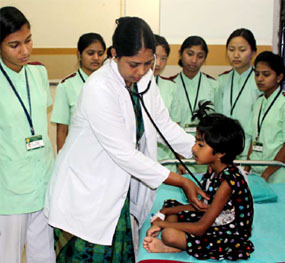 To promote quality nursing services through quality nursing education. To develop nursing professionals who are self-reliant and compassionate. During which students of JSS College of Nursing participated in various cultural and literary competitions and won prizes. As a nurse, you get more than a rewarding career. The satisfaction of rendering a noble service to humanity. Nursing encompasses autonomous and collaborative care of individuals of all ages, families, groups and communities, sick or well and in all settings. Nursing includes the promotion of health, prevention of illness, and the care of ill, disabled and dying people. Advocacy, promotion of safe environment, research, participation in health policy and in patient and health systems management, and education are also key nursing roles.